Ivy Ridge Traditions: Two Great Promotions! 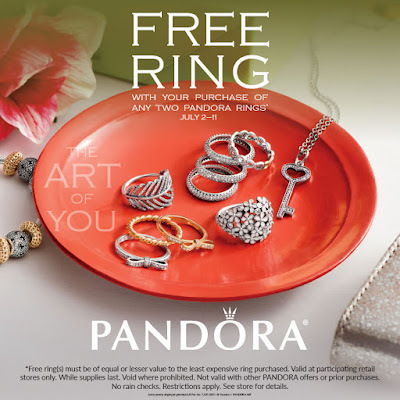 Pandora Jewelry and Brighton! Two Great Promotions! Pandora Jewelry and Brighton! 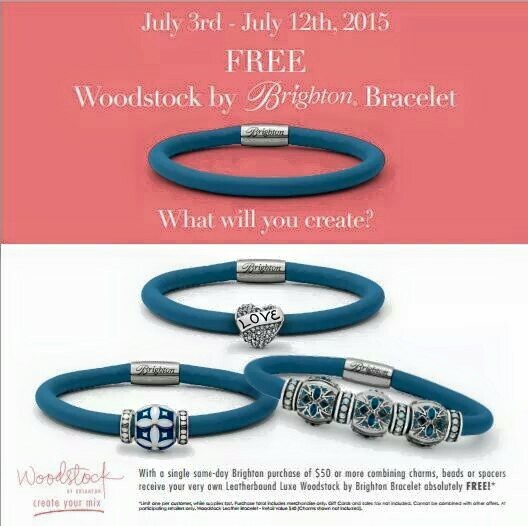 Starts Friday, July 3rd - July 12th! FREE WOODSTOCK BRACELET by BRIGHTON with a single same-day purchase Brighton purchase of $50.00 or more in Brighton charms, spacers and beads! Great New Vera Bradley Colors Arrive July 9th!